On Tuesday, hundreds of students, faculty and staff donned yellow shirts that read “Respect. All genders. 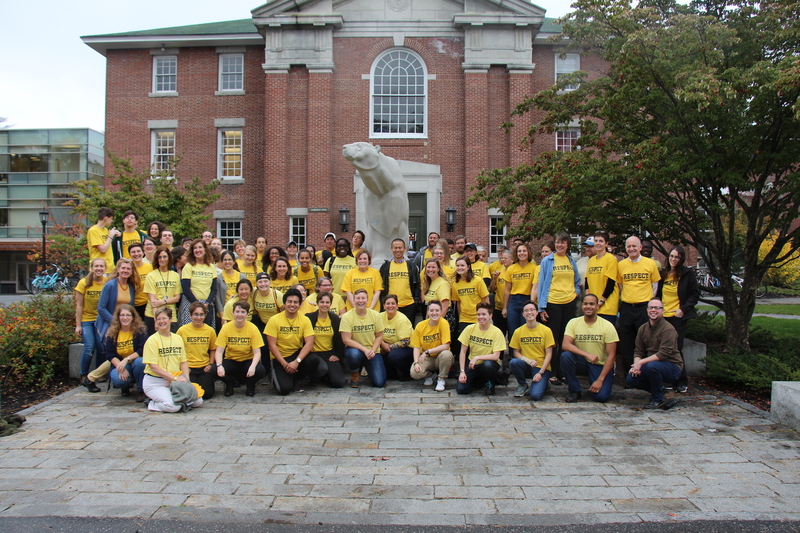 All sexualities,” for Bowdoin Queer-Straight Alliance’s (BQSA) seventh Yellow Shirt Day. A part of programming for OUTtober, the event is hosted annually near National Coming Out Day in order to show solidarity for the LGBTQ+ community at the College. Yellow Shirt Day originated in 2005, when a protest was organized against an outside speaker, Michael Heath, who wanted to overturn Maine’s sexual orientation anti-discrimination law. He was brought to campus by the College Republicans. The protest asked students to show up to his talk wearing yellow as a sign of opposition. 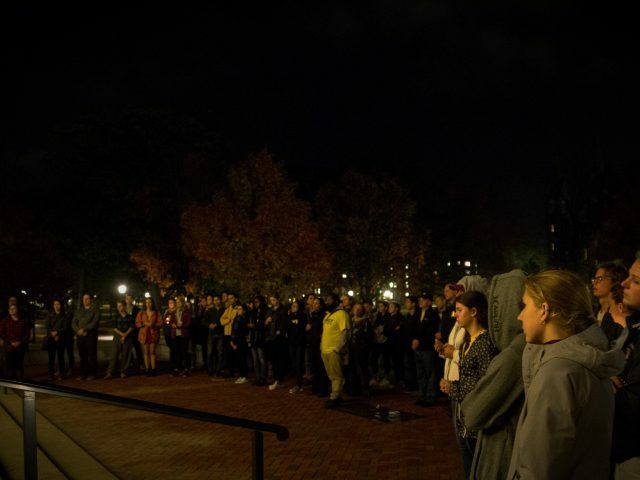 COMING TOGETHER Yellow shirts flocked to the Polar Bear statue Tuesday afternoon as Bowdoin showed its support for LGBTQ people. Over the course of its history, the event's purpose, impact and reception have changed. “The slogan allows our value as queer individuals to be determined—and affirmed—by those who reap the benefit of the very heterosexual privilege we wish to eliminate, thereby sustaining such privilege rather than challenging it,” Pasch wrote. “It’s not about the referendum at this point. It’s not about the speaker. It is a way of sending a message of what we believe in and respect on this campus,” said Kate Stern, associate dean of students for diversity and inclusion and co-director of the Center for Sexuality, Women and Gender. BQSA leader Sophie Sadovnikoff ’19 said the goal of the event is not only to show solidarity, but to also spark conversation surrounding issues in LGBTQ+ communities. “I like to think of it as a first step or a foot in the door. My goal with Yellow Shirt Day is not only to get [people] participating but to get people talking and sort of thinking about the queer community on campus and what that experience is like and why we have the need for Yellow Shirt Day in the first place,” said Sadovnikoff. 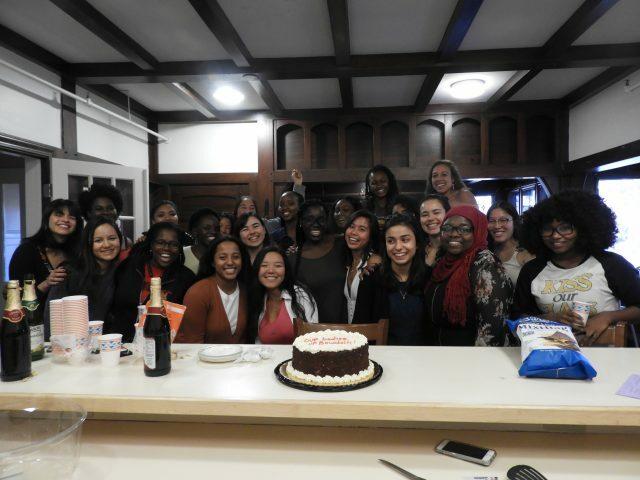 The event is intended for the campus as a whole, however, BQSA has struggled with publicity and outreach in the past. The event was publicized through posters and through the groups that BQSA works with to order shirts. The Student Activities Funding Committee (SAFC) does not provide the funds for Yellow Shirt Day, so BQSA partners with other groups that supplement the finances. The Department of Athletics is BQSA’s primary partner. The athletics department orders most of the shirts, accounting for around 238 of a total of 357, which is why some have remarked that the event feels exclusive to athletes. According to Associate Director of Athletics Alice Wiercinski, in 2011, then Director of Student Activities Allen Delong reached out to the the athletics department about getting involved in the annual event. Under the leadership of Ashmead White Director of Athletics Tim Ryan and Wiercinski, the partnership has continued and developed over the past few years. The department continues to support the overarching positive message of Yellow Shirt Day. “The intent of [the partnership] is to just continue to have a supportive environment, from an athletics perspective, for student-athletes and to continue to promote and grow inclusivity within our athletic programs as well as on campus in general,” said Wiercinski. 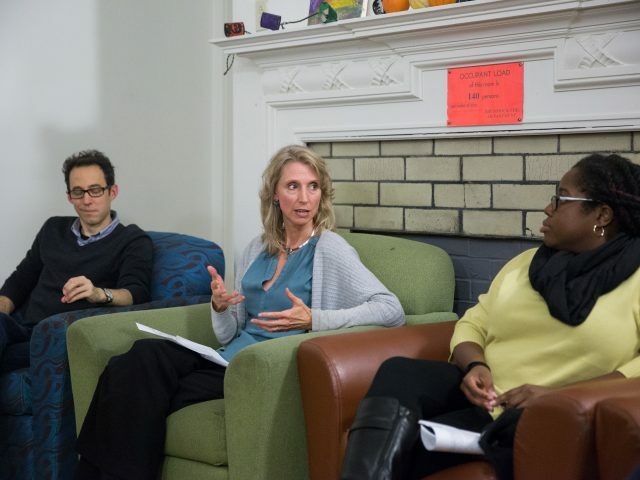 This year BQSA tried to expand its audience by reaching out to professors through Queers and Allies, the faculty equivalent of BQSA, and through departments. However, in spite of their efforts, expansion to groups outside of athletics has proven difficult since the department has a strong infrastructure in place to reach out to students, according to Sadovnikoff. As white nationalism has gained prominence across the United States, former Bowdoin student Evan McLaren holds a leading role at one of the movement’s most prominent organizations, the National Policy Institute (NPI). 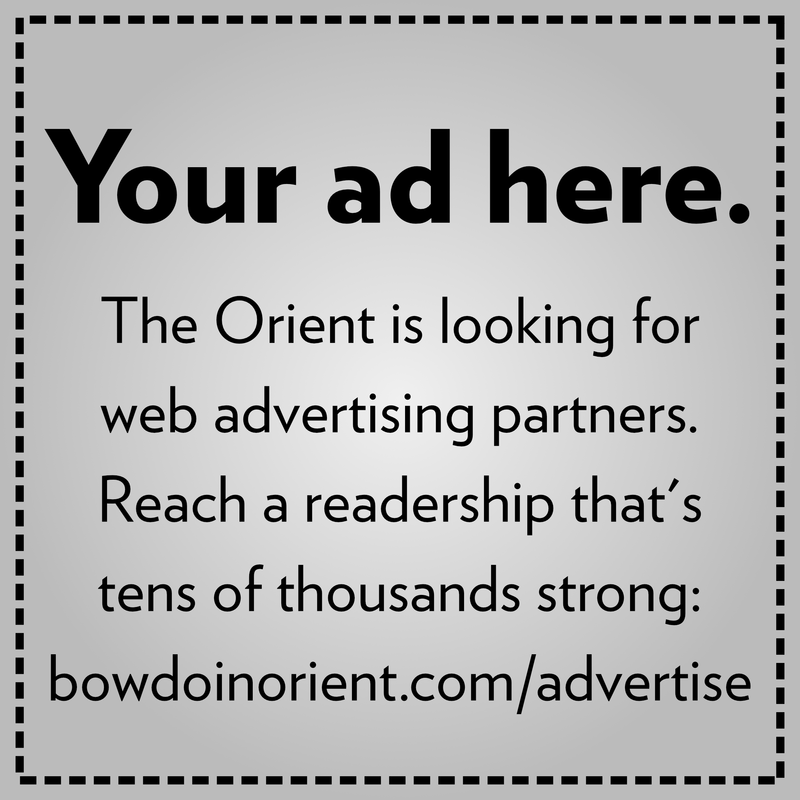 McLaren, who attended Bowdoin for three semesters between 2003 and 2006, became Executive Director of NPI in July.